Guest blogger Rick Waters, who had a hand in the inception of the WoodExpo, submitted this blog recently. You can meet with Rick at this year’s WoodExpo in a few weeks. How many pairs of glasses is too many? I get to work pretty early. I’m usually strolling into the place at about 6:35am. So, when I was walking around doing my normal routine this morning, I passed by some anonymous guy’s cubicle and something caught my eye. Sitting on the top of this guy’s desk were 3 pairs of glasses. Having worn corrective lenses myself since the fourth grade, and having worked for an optometrist while in high school, I know a little bit about glasses. First, if there are three pairs on the desk, that means his eyes are messed up – this guy needs to be wearing glasses. So, he is probably wearing a pair right now, or when he wakes up he will be. That makes four pairs of glasses. Second thing, two of the pairs of glasses on the desk were reading glasses. So this guy probably normally carries around, or has stashed somewhere, a backup pair of reading glasses. I’m assuming that he has at least one more pair of reading glasses at home or somewhere else that I can’t see. That makes five pairs of glasses. Like I said, I’ve been wearing glasses and contacts since I was pretty young. But I’ve never, ever owned more than two pairs of glasses at any time. And the two pair that I own now are my old prescription, from 3 years ago, and my current prescription. So really, only one good pair. Rick! What the heck does THIS have to do with woodworking?! Think about it. This guy in my office collects pairs of glasses. They aren’t glamorous, but he has many of them. I’m assuming they are redundant. He has more pairs than he actually needs, or will ever need. Are there duplicate tools in your shop that you could donate? Are there tools in your workshop that are multiples and can be considered redundant? I know that there are a few tools in my garage that I never use because I have better duplicates. So… these tools are redundant and are doing no one any good. A couple of names start to come to mind. Pete Bretzke and Neil Lamens. Pete and Neil have donated tools to me, in the past, to get me started on a more educated and experienced journey in woodworking. They had tools they weren’t using and sent them to me. Neil is planning on repeating this soon, and I’m very grateful to him for his continued generosity. What could this guy in the office do with all of his pairs of glasses? 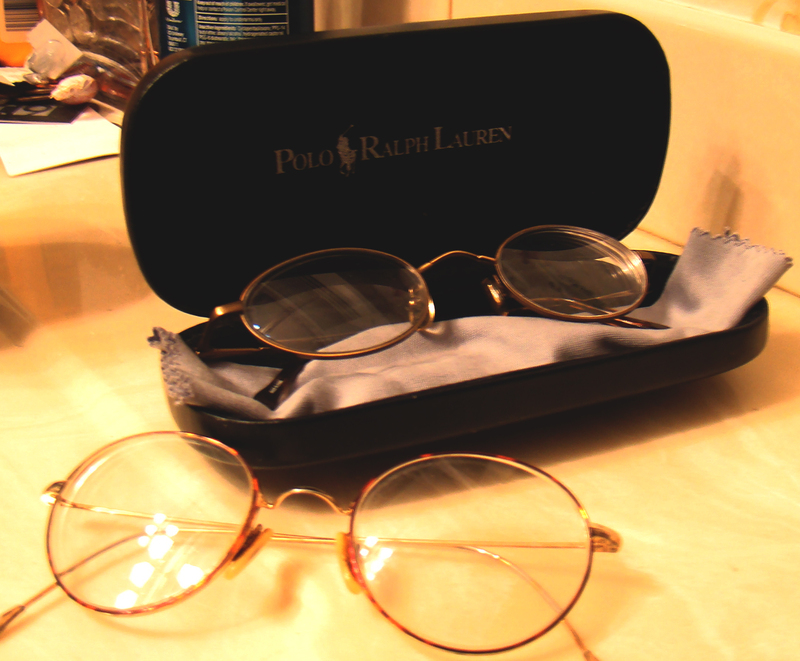 Well, I know that the Lions Club charitable organization in my community accepts used eyeglass donations year-round. I believe they fix them up, when needed, and donate them to visually challenged youths whose parents can’t afford glasses. What can you do with your duplicate tools that you do not use? Well, that’s not such an easy question to answer. Although, in a way, I guess it is. My short answer is to donate them to beginning woodworkers. The problem with that is finding the honest-to-goodness beginning woodworkers out there who need tools, and are not just looking to expand their tool collection. 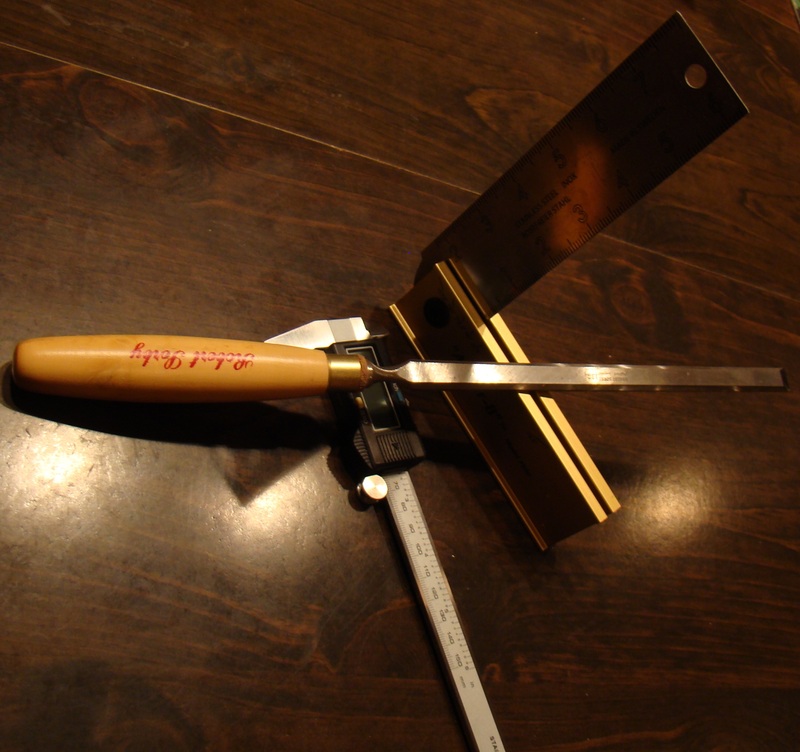 My grand hope is that those who participate in the tool transfers will forge long-lasting woodworking relationships that possibly turn into mentor-like relationships. That way, the mentor would know exactly which tools the prodigy would have at their disposal, and they could describe how to use each tool for a particular technique. So if you have some duplicate tools taking up space in your shop, consider donating them to a beginner woodworker. Passing on the tools is a great first step in passing on the knowledge and keeping the craft growing. One Response to "Too Much of a Good Thing"
Donating to a beginner woodworker is a great idea. Take your idea a step further…donate them to your local woodworker’s club. The tools could be used to teach and pass on to new woodworkers the techniques we have learned from a mentor, and your duplicate tool could possibly be used as a fundraising item, if the club may have too many duplicate tools of their own. Now, if any one has a duplicate Lie-Nielsen No. 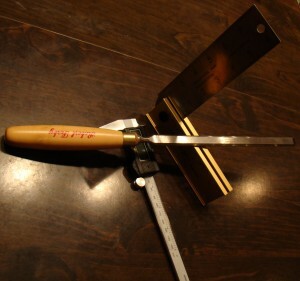 8 Jointer Plane, please consider donating it to me!